Pro Libertate: Apparently, the Fantasy Cop Package Doesn't Include "Qualified Immunity"
Apparently, the Fantasy Cop Package Doesn't Include "Qualified Immunity"
Note: This essay has been updated to reflect the criminal charge against Robert Bates. Some wealthy men of a certain age pay an extravagant fee to attend fantasy camps where they can pretend to be Major League Baseball players, or engage in brief jam sessions with patient and well-compensated classic rock performers. Others take part in “canned hunts” in which the prey are penned in and sometimes specially bred to be helpless. 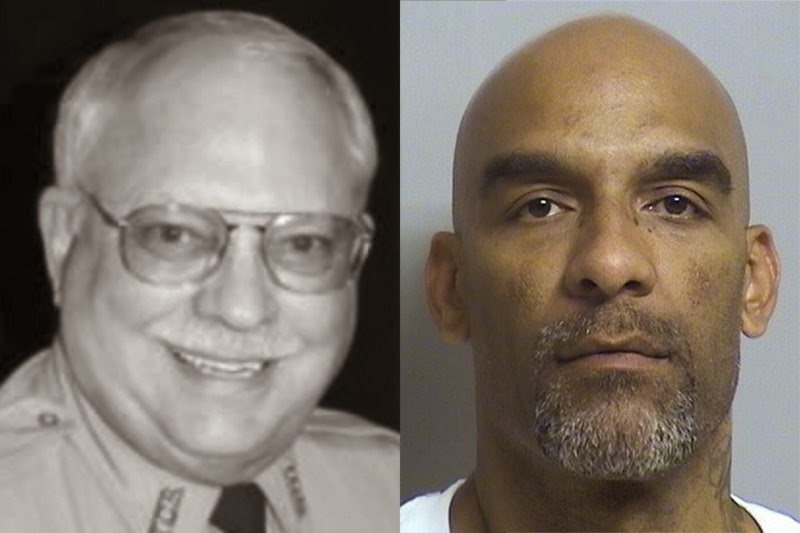 Tulsa insurance executive Robert Bates bought the full Fantasy Cop package – but it was Eric Harris who paid the premium when Bates fatally shot him following an undercover “sting” operation on April 9. He now faces a second-degree manslaughter charge. Since 2008, Bates, who spent a single inglorious year as a police officer more than five decades ago, has been enrolled as a “reserve deputy” with the Tulsa County Sheriff’s Office. During the altercation on April 9, Bates apparently mistook his handgun for a Taser. Unlike the “real” peace officers on the scene, Bates’ first impulse was to apologize as his victim’s life ebbed away. That apology was probably directed not at the victim, but at the reserve deputy’s steroid-enhanced and tattooed comrades – one of whom was kneeling on the back of the victim’s head. They probably didn’t notice, given that they were too busy taunting the dying man. “You f***g ran! … F**k your breath!” snarled one of the privileged simians in the Tulsa Violent Crimes Task Force. He might not have been aware that Harris had endured a fatal gunshot wound. In any case, he almost certainly didn’t care. It is entirely illegal for police to kill fleeing, unarmed suspect because he ran. It is also quite commonplace. This helps explain why it was that in the month of March – by one calculation – American police shot a greater number of suspects than British police did during the entire 20th Century. "Deputy" Bates and his victim. The selling point for the TCSO’s donor program is status, not service. This reflects the fact that, as I’ve noted before, law enforcement defines its role in terms of what police can do to people, rather than what they are required to do on their behalf. This sense of being elevated above the common herd offers a compelling appeal to the libido dominandi, and that allure explains why wealthy people and celebrities – such as Shaquille O’Neal, Steven Segal, and Ted Nugent – become dilettante cops. 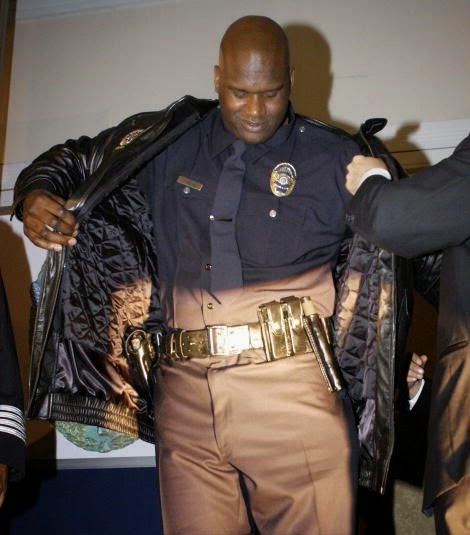 Both O’Neal and Segal participated in botched SWAT raids, which apparently is one of the perks of a celebrity buy-in. Furthermore, in some jurisdictions that exalted status is literally given away. Louisiana’s state law allows municipal political cliques (sometimes called “city governments”) to hire and deploy armed collection and abduction specialists (otherwise known as “full-time sworn officers”) and keep them on the payroll for up to a year before they become certified police officers. Some departments “simply violate the law, sometimes failing to send full-time officers to the academy,” according to Kenny Saunders, who teaches at a state-certified academy. 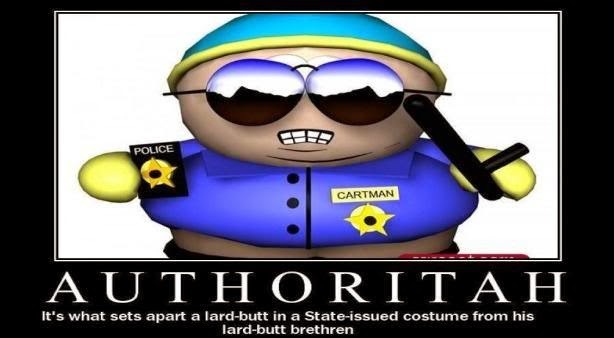 Motorists in rural Louisiana run an appreciable risk of being detained, harassed, or otherwise abused by a costumed stranger whose official status as a police officer is akin to that of Eric Cartman. While a police officer has no enforceable duty to protect an innocent person from harm, a private security operative who fails to carry out his contractual duty of care might be liable to a civil action, and will certainly be punished in the marketplace. In Idaho, it is possible to become a private investigator simply by advertising one’s services. If clients are willing to pay you to ask questions, or an established detective agency is interested hiring you to conduct surveillance or file public records requests, you can call yourself a private investigator – with the understanding that you are fully liable if you are charged with a crime or hit with a lawsuit. At present, only six cities in Idaho (interestingly, Boise is not one of them) impose a licensing requirement for private investigators. Although there is no state licensing requirement, the Private Investigators Association of Idaho (PIAI) has introduced a “Certified Private Investigator” program intended to establish professional standards in the industry. The first requirement to become a CPI would be to carry, and maintain, at least $500,000 in errors and omissions or general liability insurance. Every day, police injure and kill people through bad acts or culpable omissions, and arrest people without legitimate cause – and those responsible generally suffer no personal consequences because of their supposed authority. Police are not required to carry personal liability insurance to cover such contingencies. On those rare occasions when fault is found, the financial consequences are socialized, which means that they are ultimately absorbed by the tax victims within a given political jurisdiction. Private investigators, like other private peace officers, are not afforded that corrupt luxury. This is why the PIAI’s minimum standards for certification are more demanding that those that must be met for police applicants in many municipalities. The totems of government “authority” protect those who carry them from the legal consequences of using aggressive force. They do not confer the acumen, character, or persistence necessary to uncover facts and build a case. 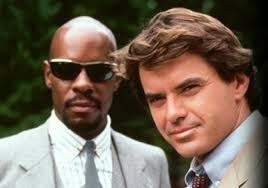 Once a cop, he became a peace officer: Spenser (r., with Hawk). Even without formal, albeit non-governmental, certification, private investigators – unlike government-employed enforcers -- cannot succeed without producing results. When a burglary is committed, the victim doesn’t have the option of choosing the most competent police agency (assuming one exists) to investigate the crime; he or she must be content with the “service” offered by the department claiming a local franchise within the government’s coercion cartel. Because it operates as part of a monopoly, the police department can’t go out of business, and it treats customer dissatisfaction as an “officer safety” issue rather than a reason to improve its job performance. This helps explain why, in a country where the government confiscates billions of dollars each year in the name of “public safety,” citizens probably spend at least that much more to pay for protection of persons and property, or to investigate crimes against them – services that are supposedly provided through the state’s security monopoly. If Robert Bates had been interested in protecting persons and property, he would have invested in a private security firm. He preferred the power, prestige, and privilege that come with being part of the state’s coercive caste. Under the abysmal standards governing that profession, Bates may have considered himself immune to the consequences of committing negligent homicide. After all, every law enforcement officer is impersonating a peace officer – so why should Bates be singled out for exemplary punishment? If they have immunity - as you repeatedly claim - then why is the police officer in North Charleston facing murder charges? The case in North Charleston is a very welcome anomaly, and the prosecution of Mr. Slager is entirely the result of a brave young man who acted as a peace officer by collecting evidence of a crime that would otherwise have gone unpunished. I neither invented the concept of "qualified immunity," nor am I the one who most frequently invokes it. In this case described above, the officers who refused to render aid to the victim should face prosecution for negligent homicide as well; their role will most likely be excused on account of their status as "sworn law enforcement officers" and the magical immunity that attaches thereto. In fact, Mr. Bates' attorney expressed surprise that the shooting wouldn't be treated as an "excusable homicide" precisely because of his role as a pay-for-play LEO. Another excellent, alarming, and superbly written article Mr. Grigg. Would this 'reserve program' be the same sort of thing Mark Wahlberg is reportedly desperately seeking to enroll in ? Do you have a sense of just how widespread these reserve programs are ? I don't know what wyowanderer is smoking but to say that the imperial storm troopers masquerading as Seals are somehow honorable while carrying out the Empires misdeeds is taking things to the extreme. Are these not the same clowns who later come back and create private security firms with mercenaries who gun down civilians? Hmmmm? Yep! You betcha. Who cares how jealously a murderer covets and protects his so-called "reputation"